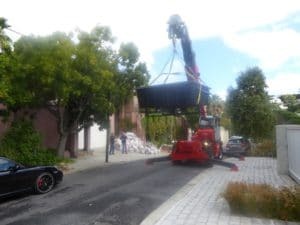 This week we got an interesting call from a contractor in Cape Town. 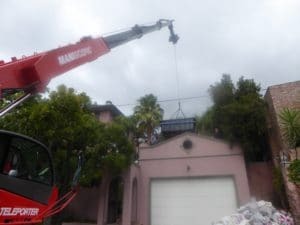 They needed to install a swimming pool on a property – and the only way to get it into place was by lifting it over a garage and a telephone line! Of course, we knew this was something we could do, so we dispatched a mobile crane and operator to the site. The tricky bit was finding enough space in the steep, narrow road to get the boom to move freely. 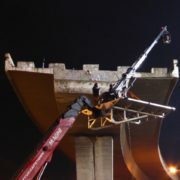 But we did it. 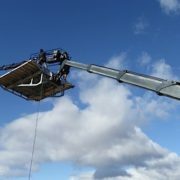 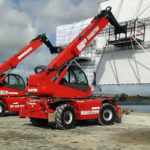 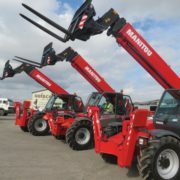 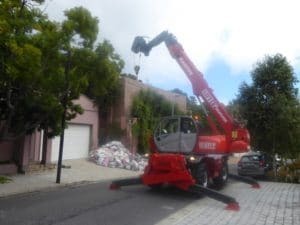 The Manitou MRT2150 is a rotating telehandler, so the wheels stay secured while the boom lifts the load and then turns to the required position. 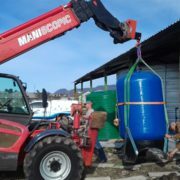 We used a 5-ton winch attachment to lift the pool. 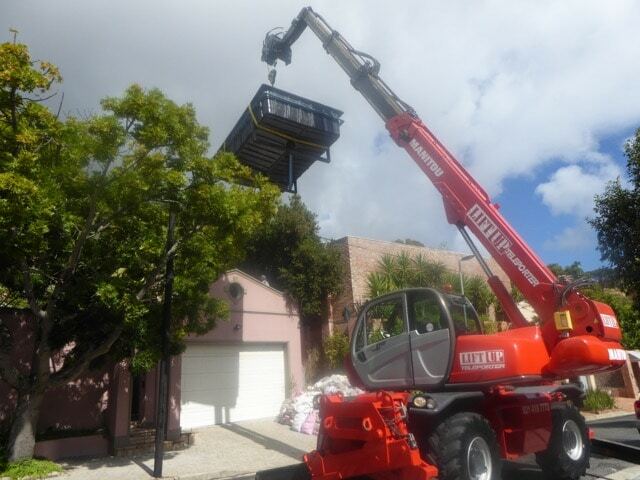 End result – happy customer! 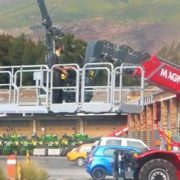 We love challenges like this. 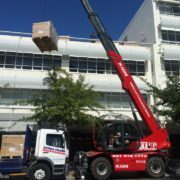 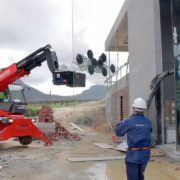 Call us today for crane rentals in Cape Town and the Western Cape.